Phast Phreddie the Boogaloo Omnibus and Lenny Kaye goof at the Doo Wop Hop! Photo by Nancy “Jeannie” Gardner. The DOO WOP HOP was held on Friday December 12 at Teddy’s Bar & Grill, during a DYNAGROOVE event, and it was most likely the best one yet. 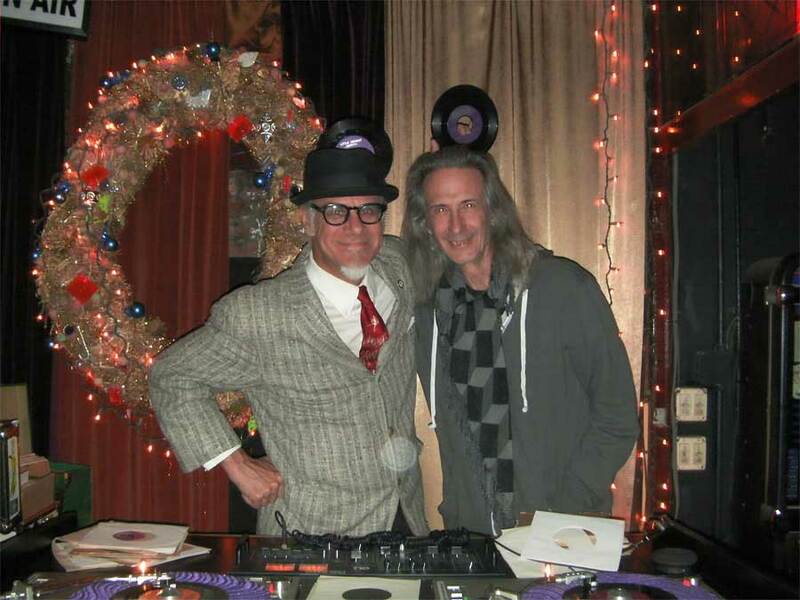 It featured the fabulous record playing of our pal Lenny Kaye. He and DOO WOP HOP host Phast Phreddie the Boogaloo Omnibus have known each other now for exactly 40 years, having met when Lenny was guitarist with the great Patti Smith and her (at that time) trio playing at the Whisky A’ Go-Go in Hollywood in November of 1974. They have kept in touch ever since and last week they had a few laughs spinning their best Doo Wop records for some very close friends and fans and the groovy Teddy’s clientele. 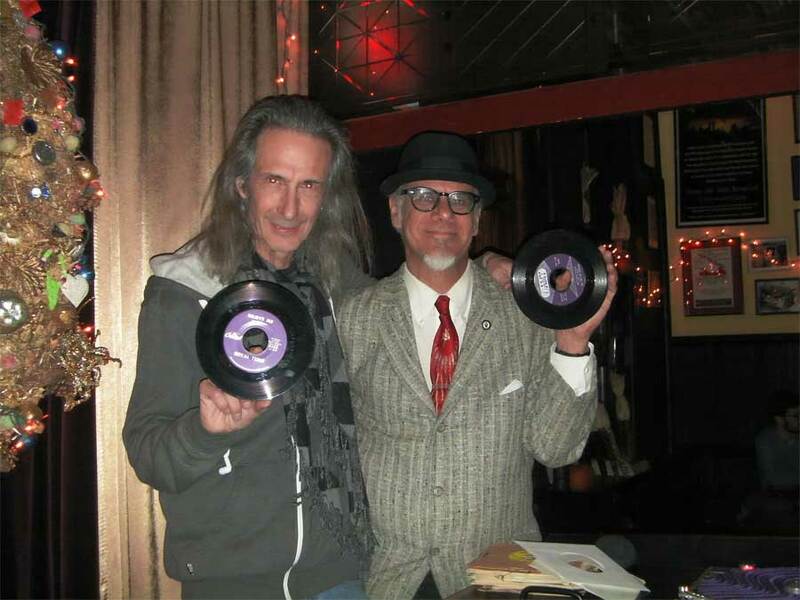 Lenny still plays guitar for Patti Smith, and he and The Patti Smith Group are gearing up for some holiday shows, but Mr. Kaye found time to gather a box of old 45s and make the scene at Teddy’s. Lenny Kaye and Phast Phreddie the Boogaloo Omnibus swing at the Doo Wop Hop. 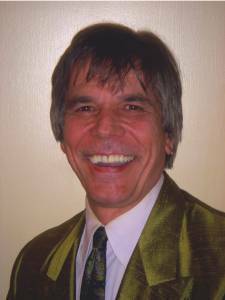 Photo by Nancy “Jeannie” Garnder. One of Lenny’s all time favorite songs is “I’ll Be Forever Loving You” by Jordan and the Fascinations. He played it, and also played a version of the song by a girl group, The Juliettes. The Boog played the original version by The El Dorados. Who can say which was the best, when the song is so good you couldn’t hurt it if you beat it with a stick (as our pal Doc Savage used to say all the time)! It is obvious that we will have to track down the versions by Lola Dee, The Marcels and The Bel-Aires. Are there other versions out there? Oh, yes, it is December, so a few seasonal tunes were mixed into the fun. Santa done got hip, indeed! All night long, fabulous group vocal after fabulous group vocal was played—then another! Is there any other music better than Doo Wop? The writers of the Boogaloo Bag think not. With any luck, the next DOO WOP HOP will take place sooner rather than later—the last one was more than two years ago. None of these records are for sale. Roll your curser over the song titles to dig some hot links to cool jams! This entry was tagged 45s, boogaloo, Doo Wop, DYNAGROOVE, groovy, Lenny Kaye, Phast Phreddie, R&B, records, Ruben Gueveara, Teddy's. Bookmark the permalink.